Kenzie loves art and crafts. 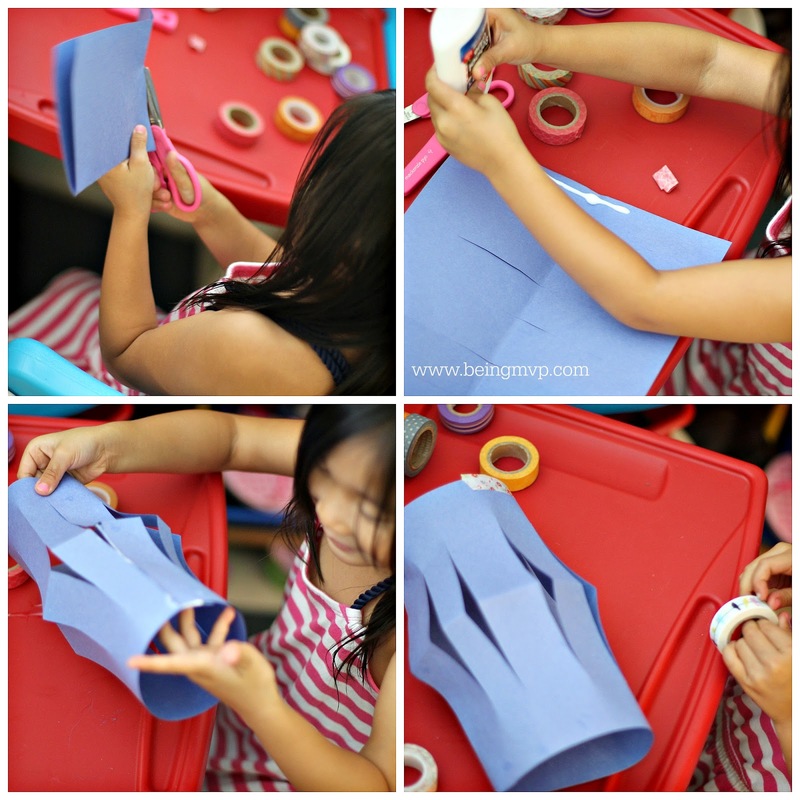 She is always bringing home fun projects that she did at school and wants to continue the fun at home. Since I have limited time after work and with our hectic weekends, I enjoy sitting down and taking a moment to craft with Kenzie to her heart's desire. 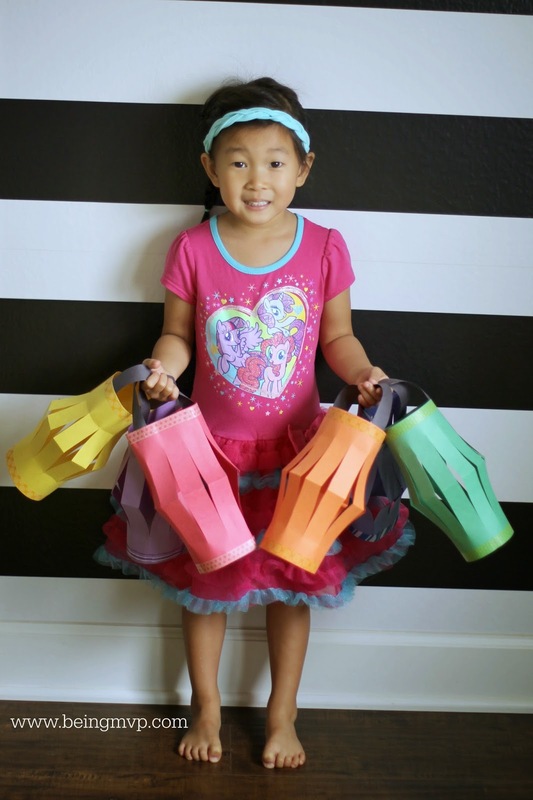 Since she loves My Little Pony (in addition to Frozen and Barbies), we had a blast making these simple yet delightful paper lanterns! Fold a sheet of red construction paper in half - vertically. Make cuts about 1 inch wide and 3/4 of the length of paper. Use glue to secure the ends to create a lantern shape. 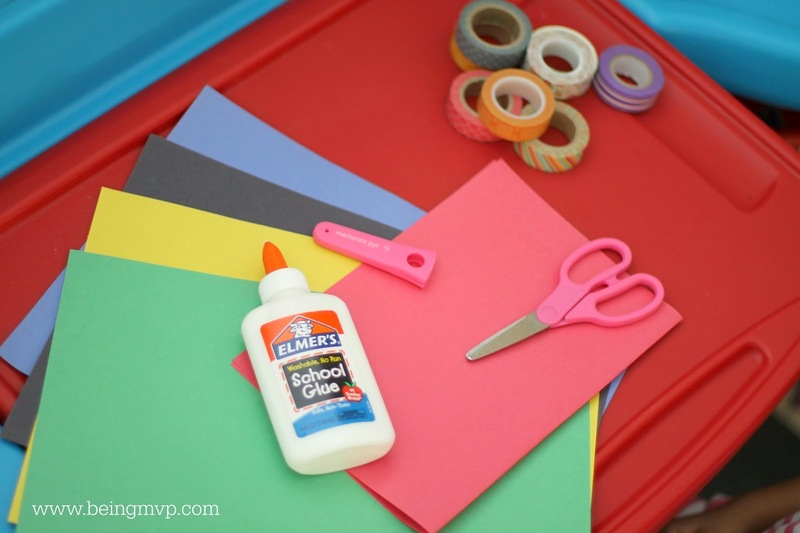 Cut a strip of construction paper to create the handle. Use a coordinating color of washi tape to wrap around the top and base of the lantern. Repeat for each color of the rainbow. These are fun to make and play with stand alone or you can even use them as party decor - imagine a colorful My Little Pony Party! For nighttime fun, you can add a tea light underneath each lantern for cool effects. 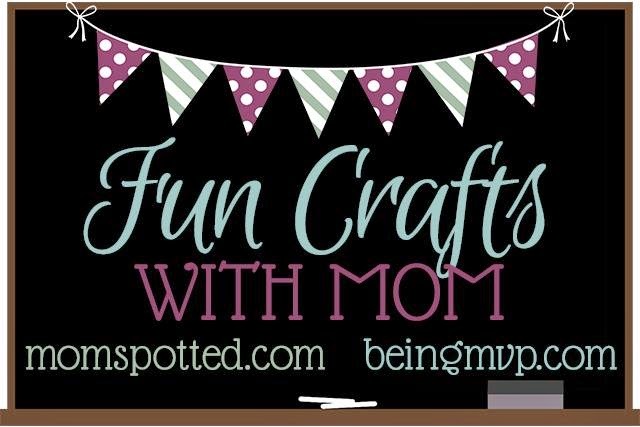 I have teamed up with Jennifer from MomSpotted to bring you great, weekly crafts in a series called "Fun Crafts with Mom". I hope you enjoy and link up if you have a fabulous craft you want to share! 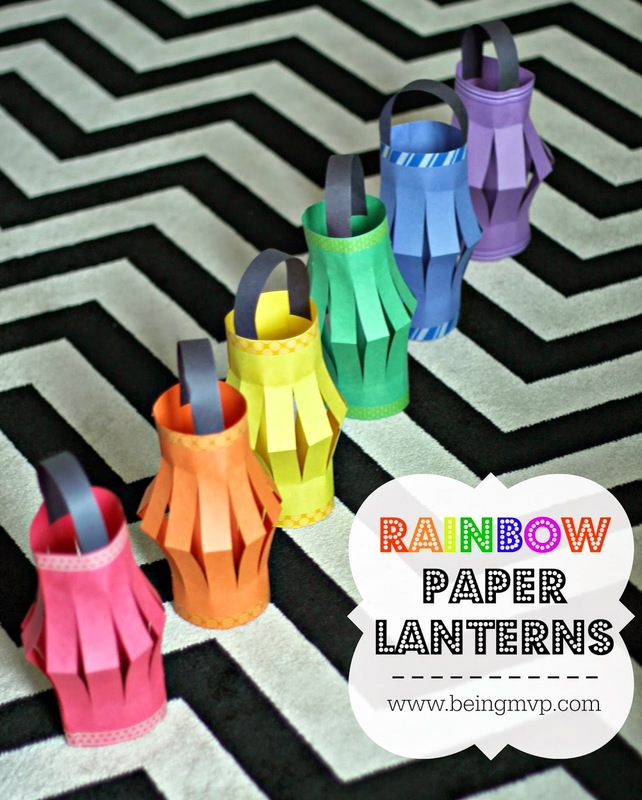 These Rainbow Paper Lanterns are so cute! I need to make these with my niece. We love doing crafts and these would be great to hang in her room! These turned out so great and would be really cute hanging! Those are so adorable!! they looked way smaller in the first picture but I love that they are life-sized!! I LOVE these! I bet my little guy would have a blast making them with me and decorating the house. These are so cute.I remember making these when my kids were little! Very cute idea! I can see doing only orange and black and lining the driveway at Halloween! I know a whole slew of kiddies that will love this project! These cute lil lanterns could be made up in colors to fit in with any holiday theme. Easy to make a lil pumpkin one. Thank you for sharing. Love these!! I always enjoyed making them as a kid!! They are so pretty and so easy to make too! !